Welcome to the music for everyone school! The Music for Everyone School gives motivated people the instruments they need to study and help themselves. 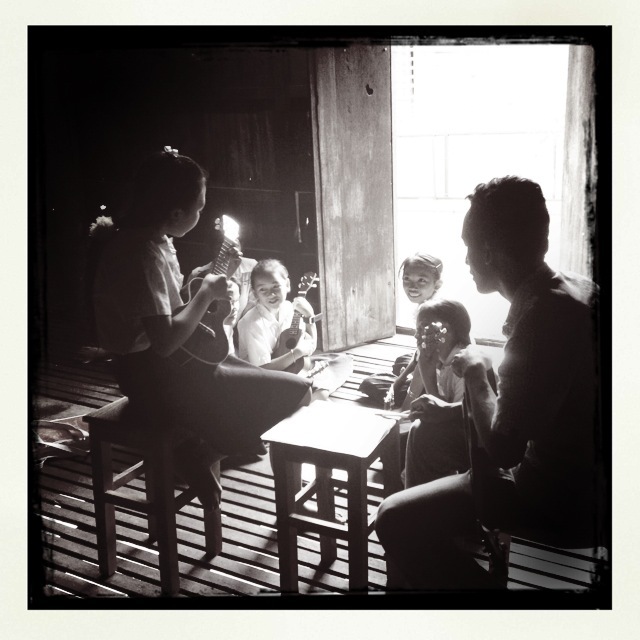 Music for Everyone School (MES) is a free music school for Cambodian Children situated in Siem Reap Cambodia. The main goal of MES is to help Khmer students get a chance to know about music and learn how to play it. We believe that music is equal to everyone. The Music for Everyone School is a non-profit organization. We support Khmer children who love music but lack access to instruments and instruction. We’ve created an environment where everyone who’s interested in music can realize their dreams. We believe music has a positive influence on people and the world, and we cannot imagine the world without music. We have three permanent staffs amd some Cambodian volunteers! We welcome monetary donations as well as donations of instruments, equipment, and supplies. MES is always in need of your donations, they help to empower local people learning to help themselves. The value of each contribution increases many times when in the hands of those in need. We are able to reach out and help our students to realize their interests and dreams. Sending a gift of new or used musical instruments, computers, and DVD players. We have updated and expanded our list. We now welcome other instruments, to make our school more interactive and to give students the chance to experience what they have never had before. Send a link to our blog or email to those you know who might be interested in our work. Your introductions are greatly appreciated. Morning: 9:00 – 12:00 a.m. Afternoon: 13:00 – 17:00 p.m.
MES has 4 classrooms for instruction and rehearsal. We have one practice room, two study rooms and one storage room. Our students are teenagers and youths, and the maximum number of students in each class depends on the teacher’s responsibilities and availability of instruments (mostly around 12 students each class), totally are around 70 students per day. MES Cambodia was founded by Mr. Ponlok Shila, Cambodian and Mr. Young LEE, Korean in 09th June 2012 under supporting from Mfund KOREA and Sire Guitars USA. 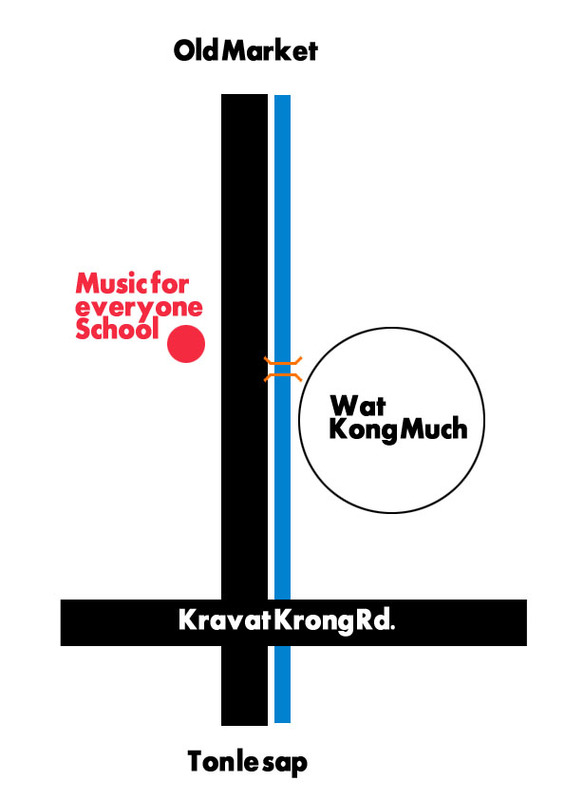 Just travel strait along the river about 3 km from old market you will find the white and red sign within the black board background “Music for Everyone School”. WE REALLY APPRECIATE YOUR VISIT!! !